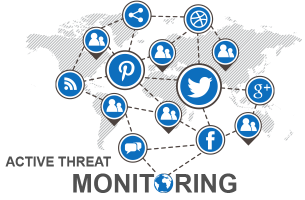 Active Threat Monitoring is your early warning system for threats and incidents that could impact your business. We aim to to alert you if an incident is About to Happen or Has just Happened. The earlier you can take Avoidance Action or Recovery Action the better your chances of long term Business Survival. Geographical incidents are mapped on our Crisis Management system and checked for proximity to your business premises. It is possible to avoid a Crisis or minimise the impact of a Crisis through early warning, here is an example. Without Active Threat Monitoring it is possible that you would have been unaware of the incident until arriving at the office on Monday morning to find the street closed off and access denied, leading to expensive and unnecessary Business Interruption.